The past few years have seen a fundamental shift in the power meter space. Hub-based units have been almost completely replaced by crank-based units, and their use within the amateur ranks has grown dramatically. Further complicating matters are a host of offerings from new players, meaning that there have never been so many worthy options from which to choose. If you&apos;re still weighing your options, consider this guide a helpful resource in your search to find the right power meter and head unit for your needs. Producing extremely accurate readings and known for exceptional longevity, this is the choice for racers demanding absolute reliability, season after season. 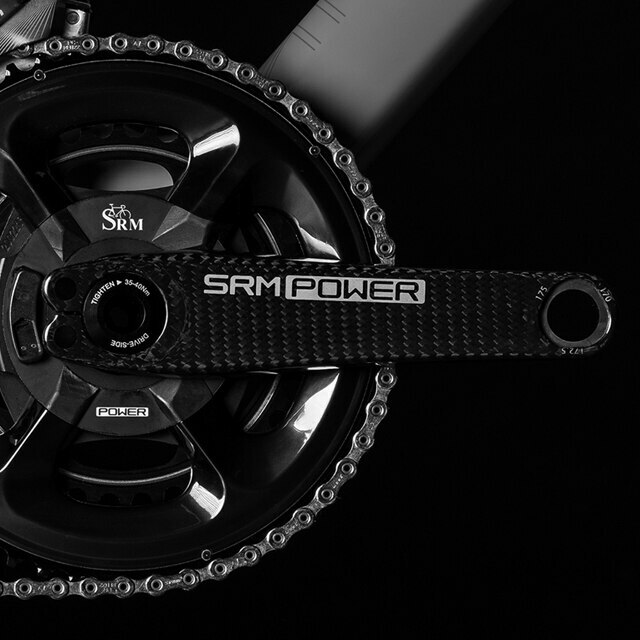 The original, and still the standard-bearer among power meters, SRM promises exceptional accuracy and reliability that has become the stuff of legends. SRM&apos;s durability is further improved by a new magnetic charging system, which results in a fully sealed system that&apos;s now even more resistant to the heaviest downpours. The Origin adds a 30mm spindle, along with immensely stiff carbon fiber Look crank arms, helping to bring the weight of this unit under 600g while offering unsurpassed +/- 1% accuracy—a genuinely phenomenal achievement. When only the best will do, SRM&apos;s Origin Carbon is the obvious choice. Developed in partnership with World Tour race teams, these units have become training staples for discerning racers at every level of the sport. As one of the earliest challengers in the power meter space, Quarq has long since proven its ability to build a robust, accurate, and user-friendly unit. This latest iteration, based on SRAM&apos;s esteemed Red crankset, refines the formula with improved battery life and an accuracy-enhancing 10k dynamic temperature compensation, which helps to ensure that the stated +/- 1.5% accuracy standard holds true when faced with real-world racing conditions. That it is submersible to 30m should reinforce that Quarq pulled out all the stops when designing the Dzero, and in the process, created one of the most impressive power meters available today. Shimano&apos;s entry into the power meter space has been full of pleasant surprises. The RC9100-P&apos;s astounding rate of adoption among World Tour teams has driven a fair bit of hype, but the unit itself is far more impressive. Easy to use, immensely reliable, and weighing a paltry 70g more than the analog 9100 crankset, it&apos;s easy to see why this newcomer has found favor among professional racers and mechanics. The no-nonsense +/- 2% accuracy is backed up by a waterproof design that, like the SRM, uses a magnetic charger which results in a weatherproof, fully sealed system. We expect the RC9100-P to become a clear class leader. While crank based power meters have largely stolen the show, there are some impressive pedal-based units challenging the status quo, and Garmin&apos;s Vector 3 is the current top dog. First and foremost, the SRM-level +/- 1% accuracy standard is downright staggering, and more importantly, has been verified by real world testing. The use of a widely-available Look Keo cleat ensures a familiar interface at this critical contact point, and an increased maximum rider weight as compared to the Vector 2 hints at the improved reliability to be expected from this truly impressive pedal-based unit. Compatible with many of today&apos;s leading cranksets, this kit adds Pioneer&apos;s dual leg power meter technology to your existing crankset. In exchange for the significant reduction in cost, you&apos;ll face a roughly one-week turnaround for the upgrade, but many racers are drawn to this kit as a means of upgrading their existing equipment, especially during the off season when that downtime simply means less time on the trainer. Pioneer&apos;s recent history in the professional ranks, as well as this unit&apos;s +/- 2% accuracy, should reinforce that, although this could rightly be considered a value option, the resulting setup is worthy of the most dedicated racers. Although Race Face isn&apos;t the first to offer a power meter for mountain bikes, the Cinch power meter spindle can legitimately claim to be the first unit developed with mountain biking in mind. Mounting up easily to any Cinch standard Race Face crankset, this unit was developed specifically to separate loads imparted from pedaling from those delivered from landing jumps, railing berms, and all manner of other forces rarely faced when rolling on tarmac. The upshot is that you&apos;ll generate cleaner data with fewer anomalies to isolate when it comes time to assess your training. And paired with Next SL G4 crank arms, it&apos;s a remarkably light setup as well. For those looking to step up their training with maximum cost effectiveness, these units offer the benefits of power-based training at a modest asking price. While dual-leg power meters undoubtedly offer more precise left-right measurement, many racers find that a single-leg unit offers more than enough information to successfully implement a power-based training plan. Enter the Stages single leg power meter. Showcased aboard a Dura Ace crank arm, but available for many popular cranksets, this unit takes the World Tour-proven technology package offered by Stages and offers it in a simplified version that is ideal for new users. And with +/- 2% accuracy, at a weight penalty of less than 20g for the crank arm, this is an immensely powerful unit in an appealingly simple package. The PowerBox is proof that power meters can be made for the masses. Where price-focused options in this space have been plagued with reliability issues, FSA&apos;s effort has earned a reputation for ruggedness that far exceeds its asking price. As with most components the tradeoff comes in the form of extra grams, for the PowerBox is certainly not a featherweight. But when considering its nearly universal compatibility, dual-arm measurements, and honest-to-goodness +/- 2% accuracy, it&apos;s clear that the function of this "entry level" unit comes startlingly close the very best units available, at a fraction of the cost. Profile: Pro mountain bike racer, training enthusiast. A rush of new entrants has made the head unit space more competitive than ever before. While it&apos;s generally considered desirable to use the same brand of head unit as your power meter, all of these head units are compatible with the power meters listed in this guide. Ultimately, making the right choice is a matter of finding the functionality you need, an easily legible display, and intuitive controls. If you&apos;re looking for further guidance, our Gearheads are always available to help. Having earned a devoted following for its simplicity, easily tailored display, and an unusually aero shape, this is a fantastic choice for elite and novice users alike. There is arguably no unit that has shaken up the computer space quite the way that Wahoo&apos;s beloved ELEMNT BOLT has. Its compact body was designed with full consideration to aerodynamics, lending the BOLT legitimacy to its claim of being the world&apos;s fastest cycling computer. But interacting with this unit makes it clear that similar pains were taken in designing the user interface, which is bright, intuitive, and remarkably user friendly. Experienced users and newbies alike will find the BOLT sleek, powerful, and an absolute joy to use. Following the lead set by SRM&apos;s power meters, the Power Control 8 is aimed squarely at top level users who depend on their equipment on a daily basis. The rugged housing and massive display ensure that your information is available in real time. Its compatibility with nearly every popular training app makes it easy for your coach to keep tabs on your progress, while the ability to store data for up to 4,000 hours of ride time means that skipping an upload or two won&apos;t derail the development of your training plan this season. If there&apos;s an agreed-upon standard bearer within the computer space, it simply has to be Garmin&apos;s compact Edge 520. Building on the svelte shape and user friendliness that made the 510 a classic, the 520 has been designed to mesh seamlessly with Strava, allowing you to compare your ride against your own PR, as well as the KOM. The bold color screen, range of upgrade bar and stem mounts, and the noted reliability make the 520 bundle a reassuringly easy choice for users at every level of the sport. 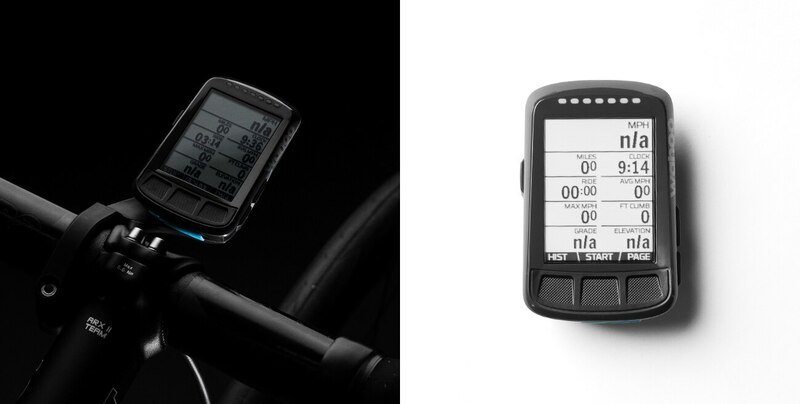 Designed in partnership with the Belkin cycling team, the Pioneer Touchscreen Cycle Computer is built with a racer&apos;s sensibilities in mind. Sleek, compact, and developed for ease of use, this unit is capable of displaying independent right/left readings from your dual arm power meter-- a useful trait for ensuring that your power output is maximally efficient. Six pre-configured screens can be customized to suit your information needs, and when the ride is over, the integrated WiFi feature makes uploading your data a snap. With its crisp horizontal display and range of setup options, the Stages Dash GPS computer has been earning converts left and right. The experience begins with setup that is, at least for cycling computers, remarkably straightforward. Further fine tuning, in the form of customized displays that can be tailored to your data needs, make it a dream for a data fiend. And the ability to upload that data wirelessly to Stages Link, as well as most other popular training platforms, continues the theme of ease of use for this easily personalized powerhouse. For those seeking maximum cost effectiveness, this unit is customizable and feature-rich, despite its modest asking price. The Loaded version of Lezyne&apos;s Super GPS HRSC computer is a compelling value in an increasingly competitive space. Offering a tremendous array of data collection options, as well as a generous 22-hour battery life, this unit compares favorably to far pricier alternatives. The cherry on top is Lezyne&apos;s Ally app, which lets you use your cell phone to create your own routes, or select from predetermined ones. It all adds up to an option that will appeal to first time power meter users, and satisfy demanding riders as well. Profile: Lifelong cyclist, long-distance triathlete.